O.T. In what city/state or country do you live? I believe this BB is viewed all over the world. I thought that it might be interesting (and fun!) to find out just how many individuals from cities/states or countries inside or outside of the U.S. that either just view or post periodically. Even if your city/state or country is already listed, please add your name. p.s. Thanks, Karl. I just love the edit function! Re: O.T. In what foreign city/country do you live? Better be careful of your word choice - to many readers of this BB *we in the U.S.* are in a "foreign" country. Re: O.T. In what city/country do you live? :) Some days I think WV is a foreign country But I love my State! Re: O.T. In what city/state or country do you live? I changed the thread heading and some of the wording in my original post. In case you're wondering where in the world is Grantsville, I'm located 50 miles west of Salt Lake City. Ya know...this thread really could become very interesting and even fun! Middletown Twp (next to Langhorne and a Philadelphia suburb), Pennsylvania, U.S.
small world Vanessa .. 50+ years ago I lived in Wandsworth Common ! Another one in London UK - But, funnily enough, I lived in Winchester for many years! 104 acres of heaven in Center, Texas USA. Or by some other names "Deep East Texas" or "The Pinny Woods". For those of you not fortunate enough to live in TEXAS, about 150 miles north of Houston. The only internet I have is by satellite and the only phone is a land line no such thing as cell service out here. I have deer in my front yard and can shoot guns off my back porch. The only drawback is there is not a lot of music around here unless you like country western. While I have nothing against country western music it does not lend itself to the clarinet. So it is mostly me and Jamey Aebersold Jazz play along books. But I would not want to live anywhere else. I feel fortunate here being able to grow around so many great musicians and seeing lots of great live music and shows. Selma, California Just south of Fresno in the central valley. Son en Breugel, 10 km north of Eindhoven (design and technology center, ranking among the top ten innovative cities of the world), The Netherlands. Palmyra VA. In the "sticks" 10 miles from Thomas Jefferson's home. But 40 years in the great state of Texas before that. Home of the world's only COMPLETE Parthenon. For a city/market this size, we're very lucky to have TWO community bands, an incredible symphony orchestra (go Peter Rubardt! ), one of the fastest growing opera companies in the US, ballet, and numerous smaller ensembles/jazz bands. Great arts scene.... not to mention some of the most beautiful beaches in the world. That's my plug! Wunstorf, 25 km from Hannover, Germany ("UNESCO City of Music". 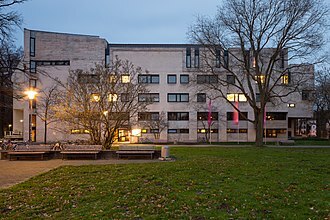 University of Music with well-known violin contest and piano class: Igor Levit and others, and almost unique Chair in Musicians' Medicine). Grandchildren are playing violin, viola or 'cello and, last not least, spending their "free" time singing in Hannover Mädchenchor resp. Knabenchor, touring as far as GB, Czechia, Japan, China. I live in the woods between Coldspring and Cleveland, Texas. Right on the border between East and Southeast Texas. Southern Arizona in the hot hot HOT desert. But live in North Kingstown, RI and play in CT, RI, and MA. Music City says Hey back! P.S. I have a friend out there who lives in RI and plays in the Grand Military Band as well as a similar group in PA. The traffic-choked suburban sprawl known as Northern, Virginia. I live in the South of France midway between Marseille and Nice, also live in awe of the contributors to this board who make it a wonderful educational source. The trad jazz desert of (southeastern) Wyoming. I am from the Thousand Oaks region in California. A fun fact is that we made the news a few times within the last 6 months: first a vintage plane crashed in the middle of US-101. then there was a shooting at a bar. and finally the Woolsey fire burned a lot of houses and hills in our region. Huntington NY, about an hour west of GBK.